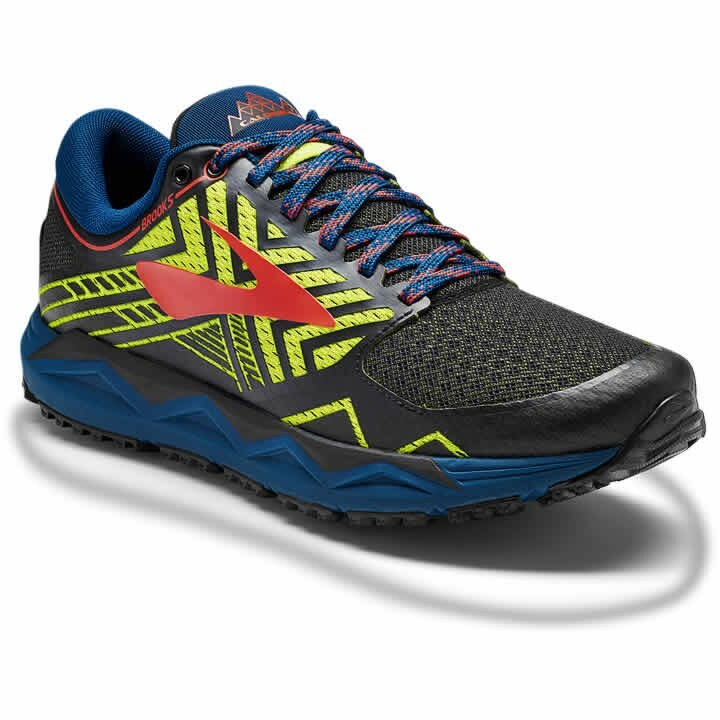 The men's Brooks Caldera 2 has the energy to keep going, mile after mile. Best for runners who want to test their endurance on technical trails. Sticky traction: The sticky rubber outsole and high surface-area lugs provide outstanding uphill and downhill traction. Fast drainage: Even after a stream crossing, an innovative upper and underfoot construction repels and drains water quickly to keep you light on your feet.